Place : Downtown of Seoul, Seoul Madang, etc. 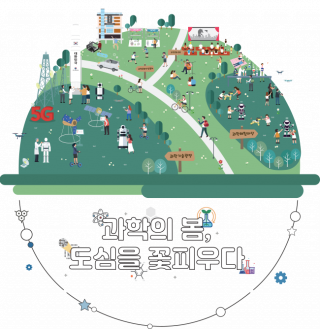 A science festival showcasing the latest technology and the leading edge in science kicks off in downtown Seoul from Friday, April 19 to Tuesday, April 23, 2019. On the eve of the festival, a variety of events are scheduled to be held near Heungnyemun Gate, the inner gate Of Gyeongbokgung Palace from 7 pm on April 19th. The main events will take place from April 20 to 23 in downtown Seoul, which includes Seoul Madang, Cheonggyecheon Stream, and DDP. There will also be an exhibition booth, showcasing the latest breakthroughs by Professor Sang-Young Lee and Professor Youngsik Kim in the School of Energy and Chemical Engineering at UNIST, which will include ‘Printable Batteries’, ‘Paper Batteries’, as well as ‘Seawater Batteries’.